HJ: Surrounding each and every living thing is an aura — a field of life force energy that radiates from it’s core. While all humans have the ability to see aura’s, like an unused muscle it weakens when we neglect it. For most people, they must practice the art and skill of seeing aura’s. This is where articles like this come into play. Below you will find sage advice for developing the capacity to see auric fields. During energy healing treatments, you will often first sense the condition of the patient’s aura and chakras through reception of psychic information and guidance. After doing so, however, it is good to also practice seeing the aura for yourself. To view the human aura is difficult at first, for the eye not accustomed to seeing it, but do not worry if you have not seen an aura before. Virtually everyone who persists in practicing viewing the aura can succeed at it, although it may take a little time. Actually, the aura is visible to all, although we do not teach ourselves to recognize it, cultivate our ability to see it, or consciously acknowledge its presence. It is very possible that you have had experiences in which some portion of the aura has been visible to you, on some level of your awareness, but your conscious mind did not recognize them as such. There have often been times when you have been aware of the emotional or mental state of other persons, for example, and have “known” so on a deep level from your unconscious awareness of their aura. Attempting to view the aura is best done in an environment conducive to viewing it, an environment in which there is not bright or harsh lighting, nor lighting that is too dim. Soft light, in a room that is neither very bright nor too dark is ideal. The background color, against which you will practice viewing the aura, should be neither very dark, nor very light, nor a strong color. A light to medium neutral color will work the best, gray being ideal. You may wish to cover your treatment table with a suitable color, if it is not already, if you decide to practice during treatments. It is best to use a human subject for your practice, and it is not necessary to use external devices, such as special glasses, to learn. It is important to approach the viewing of the aura with the proper attitude. Attempting to view the human aura is not something to “work at” or concentrate on, in fact, the gaze itself must be soft, you must soften and slightly de-focus your gaze, as though you were looking at something “off-center” or with the eyes slightly out of focus. This is looking at an area using the eyes in accordance with the receptive principle—the eyes relax and allow whatever information wants to come in to just come, instead of reaching out to notice details. 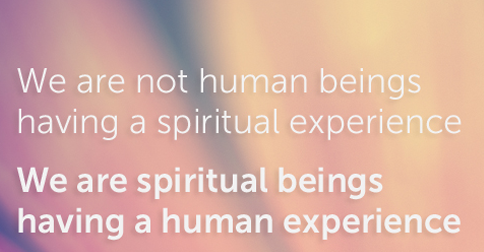 Learning to see the aura is not something you “work at” but something you relax to. It is an openness. You should strive, before practice, to achieve a quiet within your mind, and be devoid of expectation. Release all preconceptions of what it will look like or feel like to see an aura, and be aware that it will be a subtle experience, with fine perceptions. Have faith, also, and believe that you will see what exists, and do not doubt. Do not allow yourself to fall into the common trap of doubting, and then discrediting what you see. You have learned to trust your first intuitive impression when practicing the intuition technique in reading the field intuitively, trust your impressions now in your efforts to learn to see the aura. There is a technique that will assist you in learning to see the aura. In learning to see it you will use the same basic concepts you employed in the intuitive technique that assisted you in beginning to receive psychic information and guidance. You will, in learning to view the aura, use a similar alternation between active and receptive principles. You will concentrate (with the active principle) upon the shape of the area over which you wish to see the aura (either a part of the body or the entire body), as you see it with your eyes. You will then release (into the receptive principle) to allow impressions of the aura to form in your mind’s eye, at first, and then will attempt to confirm this intuitive impression with your physical eyes. It is easier to learn to see the aura in this way, because the aura is seen first with the mind’s eye, and then with the physical eyes. To learn to see the aura in this way makes perception easier and serves to perfect the ability. In actuality, as you become more and more able to see the aura you will see it with the mind’s eye in conjunction with the physical eyes. The first portion of the aura you will probably be able to see is the first layer of aura, or etheric body. It will appear to you as a light gray, light blue, or colorless “haze” around the surface of the body, from one-half inch to an inch or so above the skin surface. This haze is a superphysical light, a very fine perception, and may not appear the same as a physical light would. If you approach viewing the aura with the proper attitude, you should find that it is not very difficult to begin to see this first layer. It is sometimes easiest to learn to see this first layer of aura by attempting to view it around specific parts of the body. The exercise below is a good start at perceiving the etheric layer, and may assist you in viewing this first layer of aura around your hands. Hold your hands out in front of you with fingers gently spread, and relaxed, palms toward you. Concentrate, now, for a moment, on the area in space around one of your hands. Gaze, with your active mind, at the shape of the hand and the area around it. Release; relax now into receptive phase as you have learned to do, while glancing away from your hand. Allow an impression to form in your mind’s eye—let your mind’s eye perceive in the same way you did when learning to receive psychic information with your eyes closed. Notice that an impression can form in your mind’s eye independently from whatever your physical eyes are looking at. What impression do you get in your mind’s eye? Do you “see” anything around your hands—like a fuzziness, a haze or a layer of light surrounding your hands? Now, with your gaze softened, de-focused and relaxed, look back at your hand with your physical eyes and try to see the aura around your hands with your physical eyes, too. Try (effortlessly) to confirm with your physical eyes what you have seen in your mind. Repeat this cycle several times, to begin to allow a stronger impression to form in your mind, and perhaps make the aura around your hand easier to see. After attempting to view the aura around your hands in this way, call in the energy. Use the symbols, as described for beginning treatments, to bring in the energy to your hands, feeling it build. Repeat the glancing technique again, now, using the same technique to attempt to see the aura around one of your hands. Perform several “cycles,” allowing impressions to form. What do you see? Is there any difference between the apparent size, or intensity, of the aura around your hands? Did bringing in the energy into your hands make the aura easier to see? By bringing in the energy, you intensified the auric field around your hands. This may make the aura around your hands bright and easily visible. Look at the aura around both of your hands—can you see the light around them? Begin to view the aura of the entire body, with your patient lying down in front of you on the treatment table, by gazing with your “active mind” at the area around the shape of the body—the open space surrounding the area near the body surface (where the aura should be)—for a brief moment. Then avert your eyes, release into the receptive phase, and allow yourself to become aware of what your mind’s eye perceives. What do you see in your mind’s eye? You might still see the shape of your patient’s body in your mind’s eye, but is there perhaps something around or near it—a shell, a haze or a layer of dim light near the surface of the body? Repeat this several times, each time giving yourself a brief moment for an impression to form. This is a bit like looking into a room, quickly, and then looking away—after some number of rapid glances, you will begin to get an impression of the room that lingers in your mind, after such glances. You should, similarly, get some impression, in your mind’s eye, of the aura of your patient. After getting some impression in your mind’s eye, look back at your patient with your physical eyes—with your gaze softened and in the receptive phase. Do not strive to see anything—just relax, de-focus your eyes, and allow whatever visual impression is forming just come. Do any of the impressions that formed in your mind’s eye appear to your physical eyes as well? Repeat the glancing technique again, checking first for an impression in the mind’s eye, and then with the physical eyes, to see if you can view with your eyes what you are seeing in your mind. It is possible that you may even begin to gain some sense of the energetic phenomena of the aura of your patient, as you practice. It is with this repeated glancing, with the use of the active and receptive principles, that an impression will form in your mind’s eye, and it will require practice for more than a general impression to form, and especially for the aura to then begin to appear to your physical eyes. After you have succeeded in seeing the etheric body of your patient, it is possible that, with time, you may begin to see the colors of the emotional body, the second layer of aura. During your attempts to view the aura, you may, as you release into a state of effortless reception during your practice of the glancing technique, have the impression of a certain color over some part of the body. You may not think that your eyes see anything, but in your mind’s eye you may think, “yellow!” Do not discount this impression, for it is the beginning stage of becoming aware of colors in the aura, and if you effortlessly maintain your openness to this perception, you may at some point begin to see the color with your eyes. It will be a very fine perception, but it will be real. Trust your impressions of color, and you will find that you saw more than you consciously realized. It may take some time and much practice before you are able to glance back and gain some vision of the colors of the aura around your patient. As you practice, just let the colors come. Continue your practice, and you may eventually see various colors around the body surface, and specific details as well. First, in your mind’s eye, and then, with much practice, perhaps with your physical eyes also. Do specific darkened or colored regions appear? Patterns? You may be beginning to see the colors of the second layer of aura, the emotional body. You may even see movement in the patterns or colors. Remember that the aura is not something that is seen with the eyes alone. You may look at a hand, for example, and see patterns that have a shape, form and movement, but you may not see them in the same way that you would see a table or chair, because the colors and patterns are not seen only with the eyes. If the awareness required to see them was a product of the physical eyes alone, everyone would always see auras. You must begin to see the aura and its phenomena with your mind’s eye, before seeing it with your eyes, too. As you begin to see the aura intuitively, you will detect everything you imagine you should see with your eyes, and there is ultimately no difference in these two kinds of seeing. As you learn to view the aura, you will integrate what you see with the other information and guidance you receive. You should see the intuitive reading, the aura viewing, and the other ways you will be receiving information, not as separate techniques, but as part of a continuous process of perceiving the health of your patient. You may wish to begin with just the intuitive reading, using just the body outline, as you begin learning. This may make it easier for you to gain the information you need, in the beginning. You might then proceed to also attempting to view the aura, using the glancing technique given above. It is also possible to combine the two techniques, perhaps after you have had some success in viewing the aura, so that you concentrate on the patient’s body with your eyes open, and then release, allowing intuitive information to come into your mind’s eye, as you have done, and attempt to confirm and corroborate the information you receive with your own viewing. You can use the psychic information appearing in your mind’s eye to plan treatment and incorporate your own visual viewing as it happens. These are all steps—stages in a single process of learning to see and assess the health of your patient’s aura. You may use whatever form of reading is best for you, given your own abilities at the particular time. If you are attempting to corroborate your intuitive (mind’s eye) information with your aura viewing, it is important to understand that, at first, the two information sources may not convey identical information. This is because you may be receiving intuitive information on auric phenomena that have not yet become visible to your physical eyes. The intuitive methods are a starting point, and entry, into viewing the aura directly—it is good to eventually gain the ability to see the field directly with the eyes. It is ideal to use your intuitive and aura viewing abilities all throughout the treatment, employing them later, as well, after taking your initial readings and beginning to treat. You may see that these two techniques are really the same, and that there is really no difference between seeing with the mind’s eye and with the physical eyes—they are one. It is not necessary to incorporate direct viewing of the aura in your treatments at all, at least at first, but it is an advanced technique you may wish to try. All that is important is that you do what makes it easiest for you to sense and learn.